The league’s top two defensive squads will clash in the second round in what promises to be an exciting goaltender matchup between the 67’s Michael DiPietro and Ukko-Pekka Luukkonen of the Wolves. 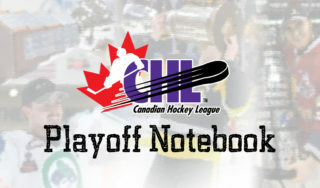 The opening round of the postseason saw Sudbury win its first playoff series in six years, powered by a four-game stretch by Luukkonen in which he allowed just eight goals. Meanwhile, DiPietro put up equal numbers with Ottawa as he was beat just eight times in four quarter-final games. Up front, 2020 NHL Draft hopeful Quinton Byfield leads the way for the Wolves after putting up three goals and four assists for seven points in an opening-round sweep of Mississauga. 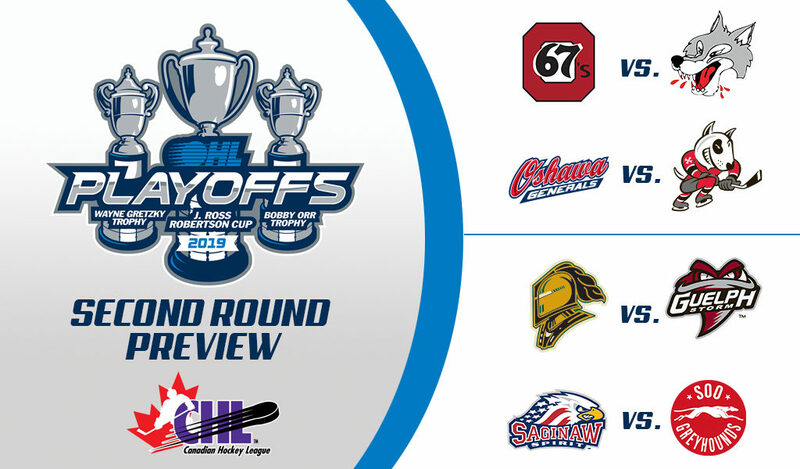 For the 67’s, the top scoring honours through Round 1 action were shared by forwards Sasha Chmelevski and Lucas Chiodo, both who finished with seven points. Ottawa will look for more from right-wing Ty Felhaber, who after putting up 59 goals during the regular season failed to find the back of the net in four outings versus Hamilton. 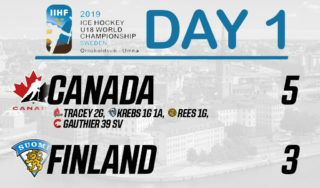 As his offense dried up, 2019 NHL Draft prospect Graeme Clarke stepped up for the 67’s, notching five goals in the quarter-final. 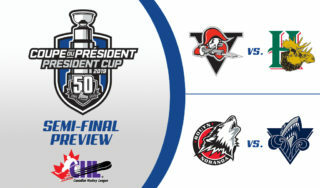 For the sixth time in the past nine seasons, the IceDogs and Generals will meet in the playoffs, coming on the heels of last year’s quarter-final matchup that saw Niagara ice the series in five games. The IceDogs will look to replicate that outcome this year with some new faces in tow, including Dallas Stars prospect Jason Robertson, who put up 117 points in the regular season to capture the Eddie Powers Memorial Trophy as the league-leading scorer. There’s also Boston Bruins draft pick Jack Studnicka, who put up a team-leading eight points in the first round, and who prior to his deadline trade to Niagara captained the Generals for part of two seasons. That role in Oshawa is now held by centre Kyle MacLean, whose four goals in opening-round action versus Peterborough was outpaced by only left-wing Anthony Salinitri, who finished with five tallies. Between the pipes, netminder Kyle Keyser was a rock for the Generals, coming away with a .948 save percentage across five games, while Stephen Dhillon’s five-game performance in the quarter-final saw him put up a .943 save rate that included three shutouts. After putting together a pedestrian power-play unit during the regular season, the Knights caught fire on the man advantage in the opening-round of the playoffs as the team capitalized on seven of its 13 opportunities, second to only Ottawa’s 10 power-play markers in the quarter-final. Leading the way for London was defenceman Adam Boqvist, who scored four of his six opening-round goals on the man advantage, including three in a single game. But Boqvist wasn’t the only Knights blue-liner providing offense from the back end, as captain Evan Bouchard also cashed in with 10 points to trail only teammate Alex Formenton, whose two goals and nine assists for 11 points through four contests leads the league in playoff scoring. For Guelph, the squad will look to replicate its regular-season success against the rival Knights, when it took four of six contests. In an opening-round sweep of Kitchener, Arizona Coyotes prospect Nate Schnarr led the scoring charge for the Storm, as his 10 points sit just one back of Formenton for the playoff lead. Meanwhile, the Storm also saw solid offensive contributions from deadline additions Nick Suzuki and MacKenzie Entwistle, who finished with seven and five points, respectively. An almost even season series between the Spirit and Greyhounds could mean the two sides are gearing up for an extended battle in the semi-final. 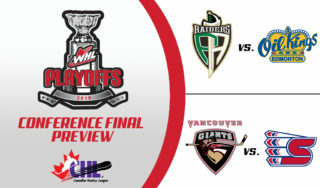 Both teams bring plenty of offensive weapons, including centre Barrett Hayton, the Greyhounds captain who put up an impressive 10 points through five games in the opening round versus Owen Sound, and who is closely followed by Philadelphia Flyers prospect Morgan Frost, who finished with nine points. Meanwhile, leading the way for the Spirit is right-wing Owen Tippett, who put up five goals and three assists for eight points in four games to continue his torrent scoring pace since being acquired from Mississauga at the trade deadline. The difference could come between the pipes, where despite finding the win column four times in the opening round, Greyhounds netminder Matthew Villalta put up a sub-.900 save percentage, while his counterpart in the Spirit’s Ivan Prosvetov came away with a .937 save rate in his club’s sweep of the Sting.